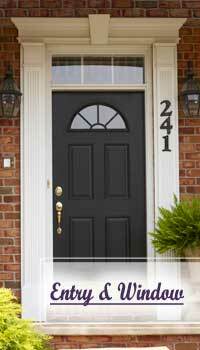 Maximum Overall Door Width: 47-1/2 in. Maximum Overall Door Height: 90 in. 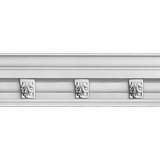 Ceiling Medallion Length: 67-1/2 in. 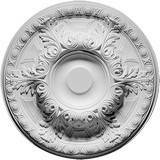 Ceiling Medallion Overall Width: 43-1/2 in. 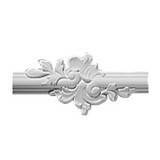 Ceiling Medallion Canopy: 5-1/4 in. Ceiling Medallion Projection: 1-1/2 in. 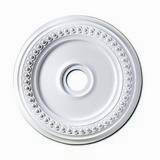 Ceiling Medallion Center Hole: 4 in. Dome Outside Diameter: 52-1/4 in. 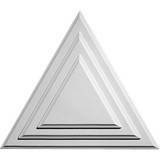 Dome Rough Opening: 49-1/2 in. Dome Opening Depth: 15 in. 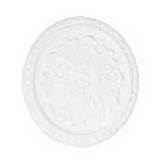 Dome Medallion Size: 10 in. Dome Outside Diameter: 42 in. Dome Rough Opening: 36-1/2 in. Dome Opening Depth: 6-1/4 in. 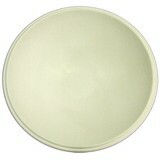 Dome Rim Width: 2-3/8 in. 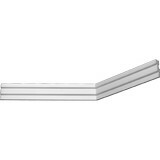 Shelf Overall Width: 36 in. 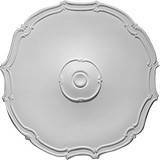 Ceiling Medallion Diameter: 24 in. Ceiling Medallion Projection: 3-1/2 in. Ceiling Medallion Center Hole: 1 in. 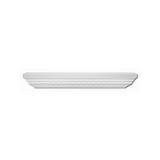 Crown Molding Height: 5 in. 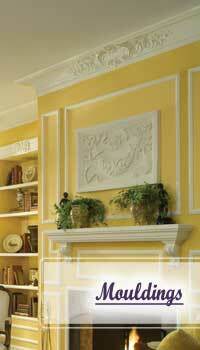 Crown Molding Projection: 4-5/16 in. 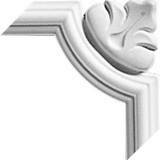 Crown Molding Face: 6-9/16 in. 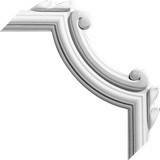 Crown Molding Height: 4-1/2 in. Crown Molding Projection: 3-3/4 in. 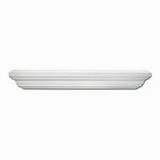 Crown Molding Face: 5-7/8 in. 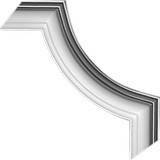 Crown Molding Repeat: 1-1/2 in. 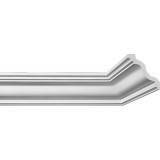 Crown Molding Height: 3-1/4 in. 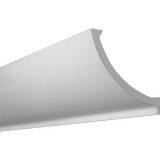 Crown Molding Projection: 2-9/16 in. Crown Molding Face: 4-1/8 in. Crown Molding Repeat: 2 in. Crown Molding Projection: 2-1/2 in. 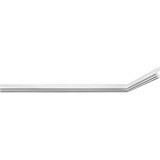 Crown Molding Repeat: 1-1/4 in. 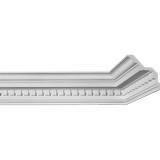 Crown Molding Repeat: 2-1/8 in. 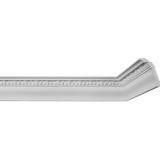 Dentil Molding Length: 8 ft.
Dentil Molding Height: 3-1/4 in. 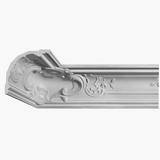 Dentil Molding Projection: 2-5/8 in. 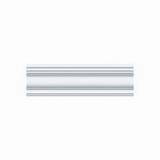 Dentil Molding Face: 4-1/8 in. 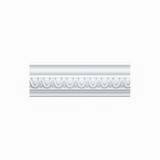 Dentil Molding Repeat: 1-3/4 in. + Free shipping on Focal Point products when you order more than $1250 in Focal Point items (view details). 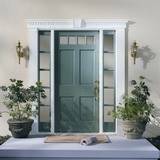 For Orac Decor orders over $1000 contact us for possible promotions. Check Out Our Best Selling Items!! 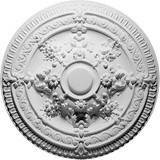 Ceiling Medallion Diameter: 46 in. 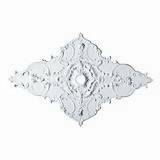 Ceiling Medallion Canopy: 8 in. Ceiling Medallion Projection: 3-1/4 in. 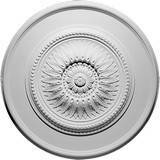 Ceiling Medallion Diameter: 41 in. Ceiling Medallion Canopy: 5-3/8 in. Ceiling Medallion Projection: 3/4 in. 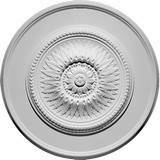 Ceiling Medallion Diameter: 40-7/8 in. Ceiling Medallion Canopy: 5-1/2 in. Ceiling Medallion Projection: 2-1/8 in. 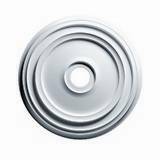 Ceiling Medallion Diameter: 35-13/16 in. 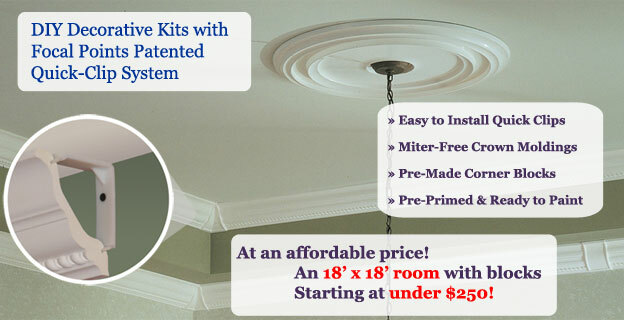 Ceiling Medallion Canopy: up to 14-7/8 in. 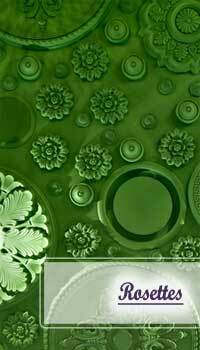 Ceiling Medallion Projection: 1-7/8 in. 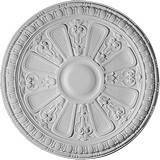 Ceiling Medallion Diameter: 34 in. 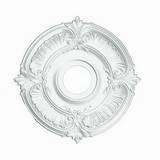 Ceiling Medallion Canopy: 5-3/4 in. Ceiling Medallion Projection: 2-3/4 in. 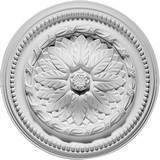 Ceiling Medallion Diameter: 31-3/8 in. 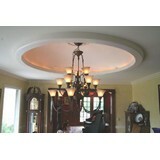 Ceiling Medallion Diameter: 31 in. 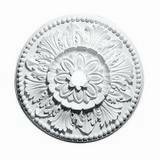 Ceiling Medallion Diameter: 30-1/4 in. 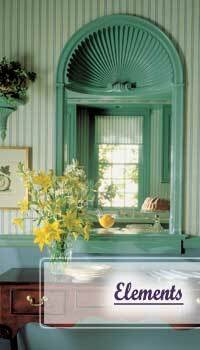 Ceiling Medallion Canopy: 5 in. 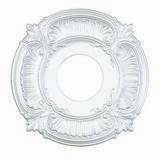 Ceiling Medallion Diameter: 28 in. 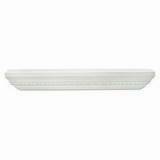 Ceiling Medallion Canopy: 6-1/2 in. Ceiling Medallion Projection: 2 in. 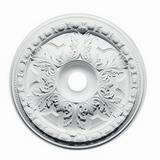 Ceiling Medallion Diameter: 24-3/8 in. 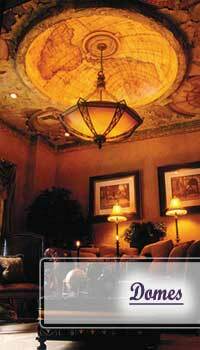 Ceiling Medallion Projection: 1-5/8 in. 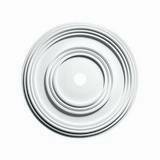 Ceiling Medallion Diameter: 24-5/16 in. 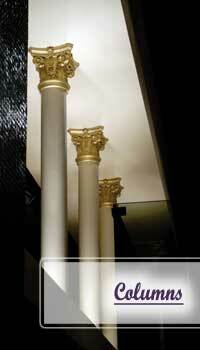 Ceiling Medallion Projection: 1-3/8 in. 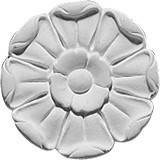 Ceiling Medallion Diameter: 18-1/2 in. Ceiling Medallion Projection: 1-1/8 in. 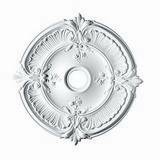 Ceiling Medallion Diameter: 18-3/8 in. 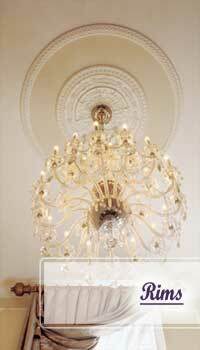 Ceiling Medallion Diameter: 18 in. Ceiling Medallion Projection: 5/8 in. 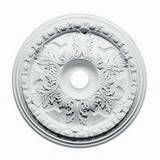 Ceiling Medallion Diameter: 12-3/8 in. 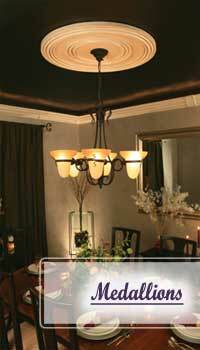 Ceiling Medallion Projection: 1-3/16 in. 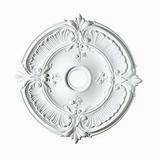 Ceiling Medallion Diameter: 12 in. Ceiling Medallion Projection: 1/2 in. Clearance Items - Huge Savings! !